You are at the right place. 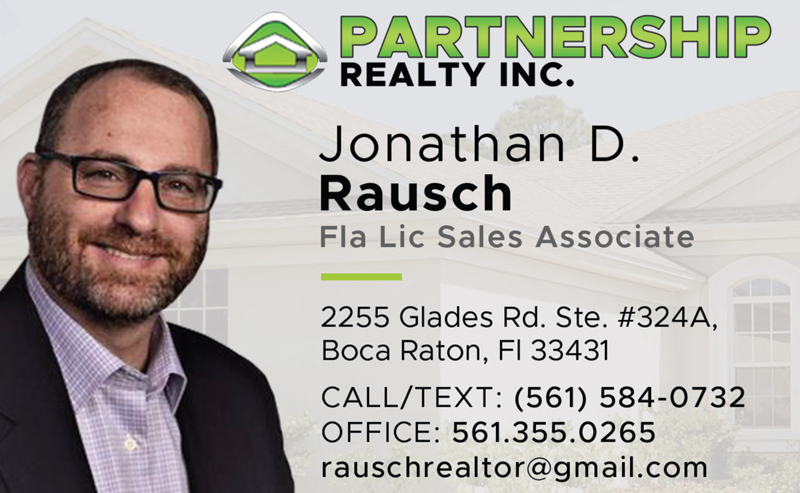 Jonathan Rausch understands that insurance protection is another step on the road to financial peace of mind. Here's the deal - If you drive less than 35 miles/day and live in Florida you can get huge discounts on auto insurance and if you have no DUI's, you can get even more discounts. But do you think your auto insurance company will tell you that? We do! Contact Jonathan Rausch for more secrets and tricks. Researching proper Business insurance protection at an affordable premium is an effort for most businesses. Working with dozens of leading insurance companies gives our commercial team an outstanding selection of general and specialized insurance coverages. Call us today for more guidance and prices. The first thing to do is to collect all the information about available plans and their pricing from various Florida car insurance companies. You will also need to know the level of your eligibility for each of them. Either with the help of an experienced broker or on your own, obtain the following. Verify that the credit report contains valid information. It will be used to determine your payment rate, so everything needs to be in proper order. If you have difficulties obtaining a credit report, consult a local broker who specializes in issues of car insurance in Boca Raton. After you have everything you need, now is the time to use that information to your advantage. Take note of the minimum coverage prescribed by Florida state law and consider buying more liability insurance than legally required. Various consumer have issued a recommended minimum amount of $100,000 for injuries per person and property damage liability each, as well as $300,000 per accident. Don't miss the opportunity to save some money on parts of coverage that you might not actually need or the ones which simply wouldn't be worth the extra cost. You should note that collision coverage only pays for repair and replacement of your vehicle. If your car is more than five years old and valued under $4,000, you can't except to get too much out of it. Comprehensive coverage covers your losses if the vehicle is stolen or damaged due to circumstances that were out of your control, such as natural disasters, fire or vandalism. It will be reasonable to include it if your care is less than twelve years old. There's a number of discounts that can significantly reduce the amount of money played for your policy. Make sure to specifically inquire about any special circumstances that might apply in your situation, such as the presence of a good anti-theft system on your vehicle, carpooling, low mileage or a clean driving record.